Donald already has succeeded in getting his chance to make America great again. Now it is his chance to make Christmas great again! He's already done it for some factory workers in Indiana, and he can do it for you! 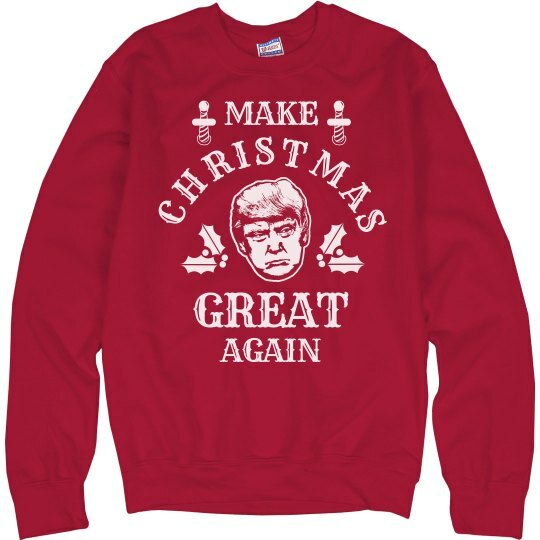 Support Trump with this ugly Christmas sweater!